The Boudoir Divas is a boudoir and women's portrait studio in San Diego, California and now Nashville, Tennessee. Feeling completely comfortable in your own skin just as you are right now is entirely possible. Creating a work of art, a powerful image, that helps you get back into that headspace every time you look at it is our goal here. that was just because you were in the hands of an inexperienced photographer. It's okay if booking this scares you a little, all of our clients are nervous. But thousands of former ecstatic Boudoir Diva's clients prove that you just need to take a leap of faith. We believe in your beauty. And we believe in our expertise and our magic. This is me in this "before and after" ladies! 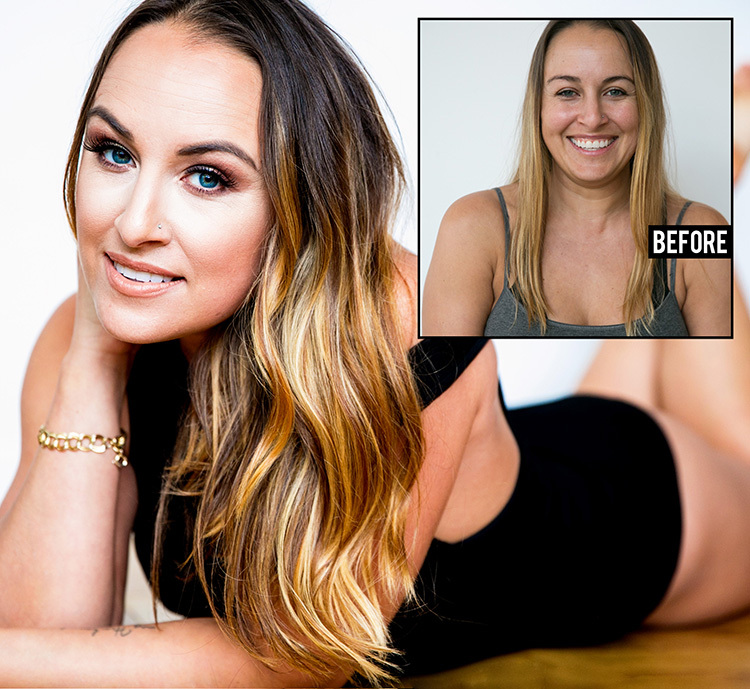 And dang, seeing this non-airbrushed "after" photo made me feel like a bombshell. I want you to experience this. Do we think you need to run around totally glammed up all the time to be beautiful? No. But I do know that I spent much of my younger years feeling like I didn't ever get a chance (or even could if I wanted to) look like those girls on covers of magazines. Which just isn't true. It was my own personal hang-ups and my love for photography that had me create this experience for women 15 years ago!! Now it's your turn! Our January 2019 Adventuress Photo Expedition has been launched!! Check out the video from our last trip to Riviera Maya and Tulum!